If you have a special event coming up and need an extraordinary cake to mark the occasion, call Sarah Reed. 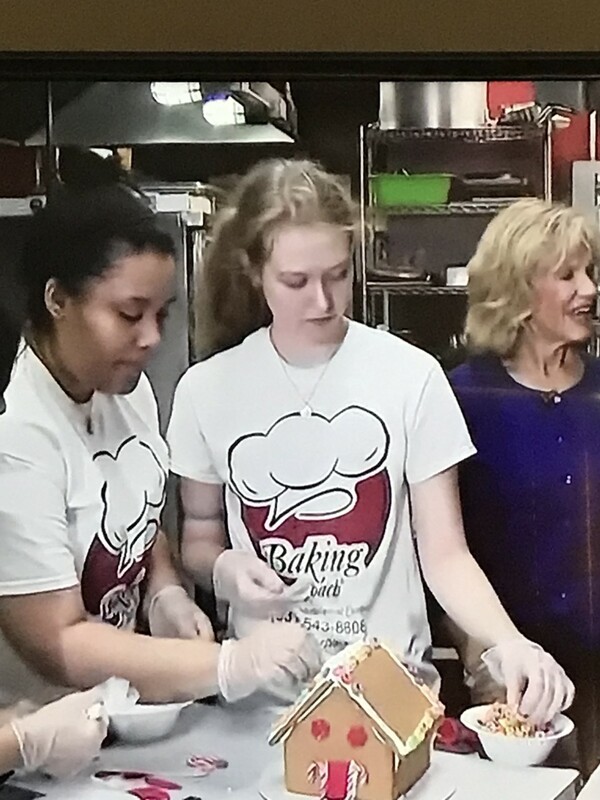 Even before she graduated from Clonlara last year, Sarah and her cousin Emily Peterson started their own business, Cousins Creations Baked Goods, LLC, located in Great Neck, New York, on Long Island. Approaching its one year anniversary in April, Cousins Creations bakes and decorates specialty cakes for a wide variety of customers and occasions. Sarah had known since she was a child she wanted to be a cake decorator. She learned to cook from her mom and bake from her dad, gradually leaning toward baking. As children, Sarah and Emily always knew they wanted to do something together, and as far back as 10 years ago they decided they wanted to have their own company. 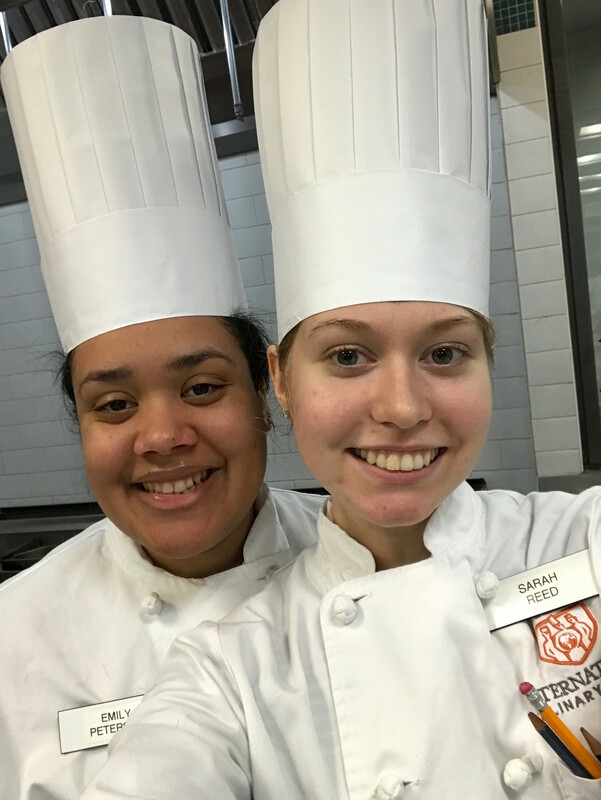 After launching Cousins Creations, Sarah and Emily took the next big step in pursuing their dream—enrolling in an intensive, three-month program at The International Culinary Center (ICC) in New York City. 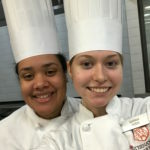 Formerly known as The French Culinary Institute, the ICC offers a variety of specializations, including Culinary Arts, International Bread Baking, Sommelier Training, Pastry Arts, and Cake Techniques & Design. Sarah chose the latter and graduated on the Dean’s List in November. With Sarah and Emily joining forces, Cousins Creations certainly has a family feel. Sometimes their moms and brothers pitch in, as well. 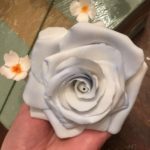 Along with being the “creative forces” of the operation, Sarah and Emily cover all aspects of the business—consultations, tastings, taking orders, making the cakes, deliveries. Though most of their business is specialty cakes, they also offer cupcakes, cookies, pies, and pastries. Sweet 16 parties and weddings are their most frequent events; they also have done Boy Scout (Eagle) celebrations and provide special order cakes for high-end restaurants. 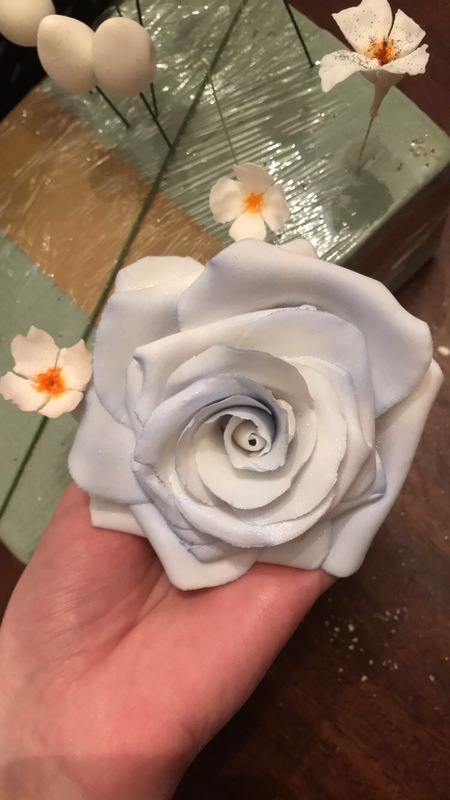 Sarah’s favorite creation is “most definitely the flower decorations”—the sugar paste flowers adorning the cakes. “Especially roses,” which she likes to include on every Sweet 16 and wedding cake. 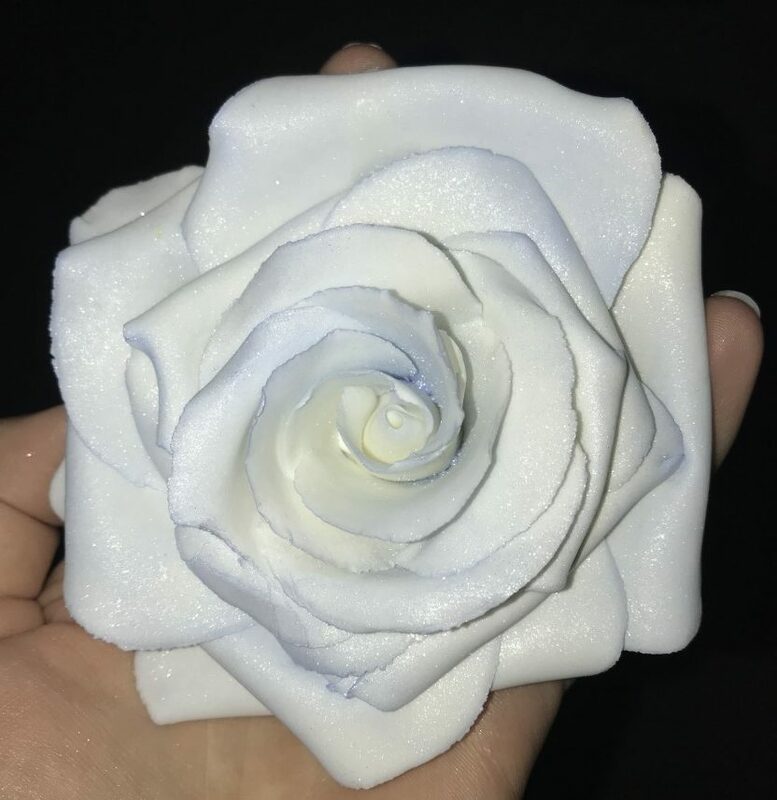 Sugar vases are another favorite. Cousins Creations isn’t the only family affair for Sarah—so was her education. “I must say, I did enjoy learning with my cousins—my aunt homeschooled her three children, too.” Sarah, Emily, and Emily’s younger brothers, Miles and Grant, all began homeschooling with Clonlara at the same time. When they started, Emily was in 6th grade, Miles in 4th grade, Sarah in 3rd grade, and Grant in 1st grade. 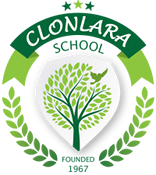 All continued with Clonlara through graduation, with Grant due to graduate next year in the Class of 2020. Beyond her baking, Sarah enjoys writing stories and poems. 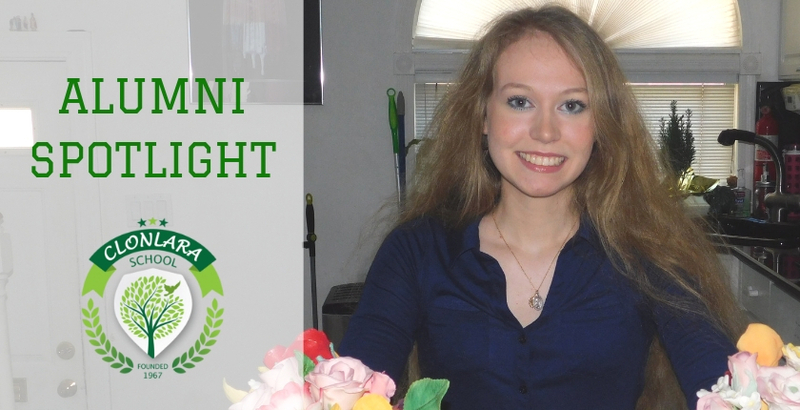 She read some of her poems at her Clonlara graduation, and hopes to publish some day. For a “taste” of Cousins Creations’ handiwork, visit Sarah and Emily on Facebook and Instagram.